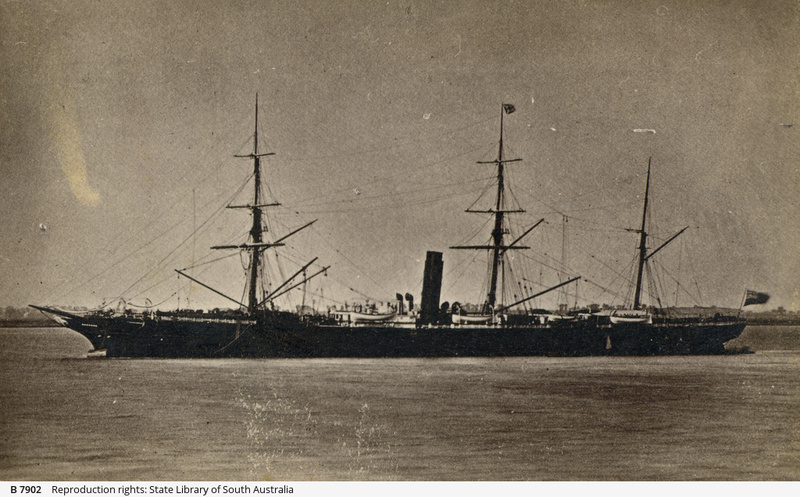 S. S. "Garonne" iron screw steam ship of 3,870 gross tons first arrived in Australia in 1878. She and all the Orient and Pacific ships were square rigged. The Garonne was the first Orient owned steam ship in Australia. Captain Roland De Steiger was master of the Garonne's first voyage to Australia. It took 47 days and brought 401 Australian passengers. The Garonne was once grounded in the Red Sea and was wrecked off the East Coast of Africa near Ras Hafun with two the loss of two lives.